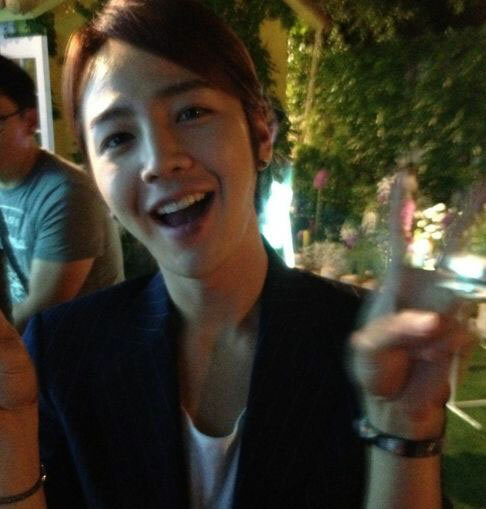 On May 29th, 2012, the management agency of Jang Geun Suk announced through Twitter, “The shooting of final episode of ‘Love Rain‘ completed successfully. From last fall to this spring, spent a very happy time because of Seo In Ha and Seo Joon. Very grateful to the actors who worked hard during the period and the fans who have been always supporting him. 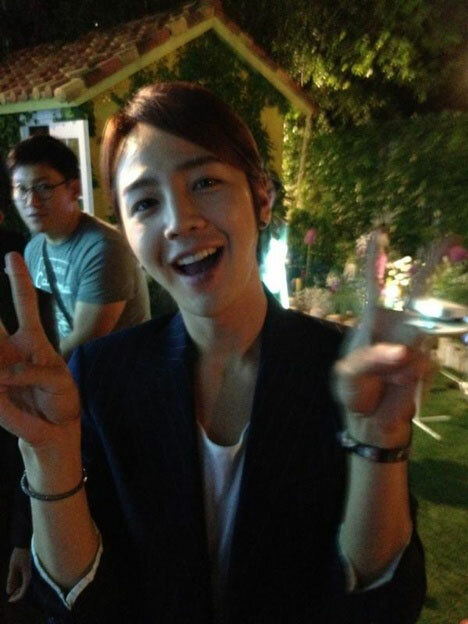 Jang Geun Suk will meet again with a even better look! Goodbye!” And photos were uploaded. In the published photos, Jang Geun Suk posed a V sign with both hands, smiled gloriously, the combination of black jacket and white shirt displaying the charm of fashionable men. Netizens commented on the photos, “You’ve worked hard during this period,” “Do rest,” “The bright smile is very cute,” “Through ‘Love Rain’, I also spent a very happy time” and so on.